Since mid-2015, Colombia has gone through important political and social changes illustrated by the progress of the negotiations, the signing and implementation of the Peace viagra online usa Agreements with the guerrilla of the Revolutionary Armed Forces of Colombia - People's Army (FARC-EP). However, MSF’s analysis of violent events in the areas of Buenaventura and Tumaco shows that the violence continues (in a different way) despite the end of the conflict with the FARC-EP. There is an increase in the presence and influence of criminal organizations (OCs) and other armed groups. Likewise, other situations of violence (OSV) such as threats, selective homicides, kidnappings, disappearances, harassment, extortion and confinement, are internalized and deepened within the communities. 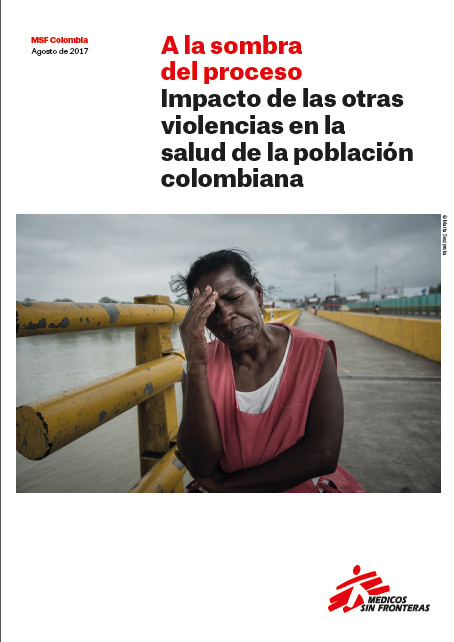 These situations of violence have a clear impact on the physical and mental health of the populations in the Municipalities of Buenaventura and Tumaco. Analysis based on data from consultations conducted by MSF psychologists during the period 2015-2016 illustrates that exposure to violent events and risk factors led to diagnoses such as depression (25%), anxiety (13%), mental disorders (11%, schizophrenia, infantile psychosis, bipolar affective disorder) and posttraumatic stress (8%). Although the situations and needs of patients seen by MSF in Tumaco and Buenaventura cannot be directly extrapolated to the rest of the country's contexts, they can be considered as a plausible approximation of reality in urban and rural areas of many departments of Colombia.